Richard Bartz might have been inspired by the automotive industry in Bavaria when setting up a label called Kurbel or crankshaft. He was behind most of the label’s releases, but had some high-profile visitors there too, if we recall a joint 12-inch with DJ Hell (“Take A Shot”). Solid and well engineered techno was the direction of the label, evident also on this compiled EP. Three knights from Kanzleramt, Morgenstern, Laux and Heil (“Balls”), are present, like Bartz himself (as Schalt 42), Heinrich Tillack & M. Schleth. 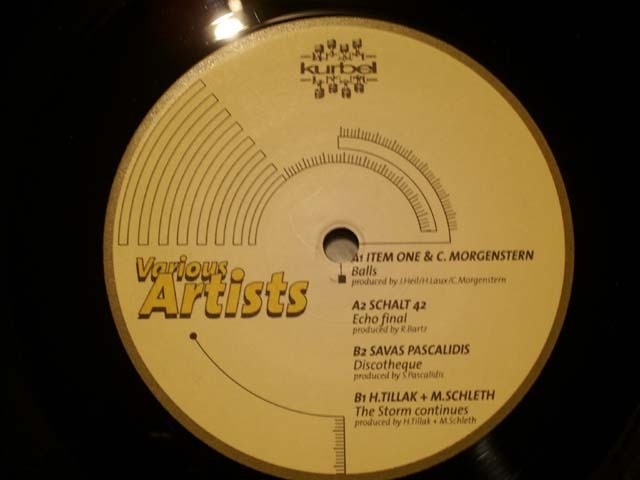 And Savas Pascalidis whose “Discotheque” takes a step towards electro house.